Product overview by Vlad Catrinescu – requested by PDF Share Forms, but thoughts are my own. 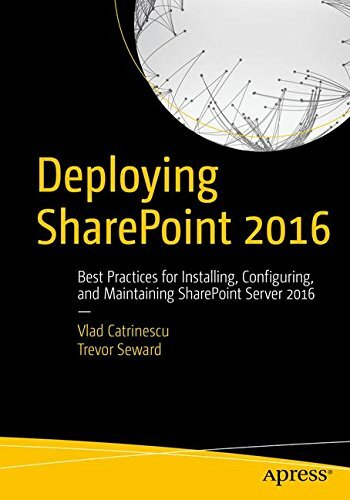 With the popularity of SharePoint increasing daily, more and more companies are turning to SharePoint as their central hub for documents. 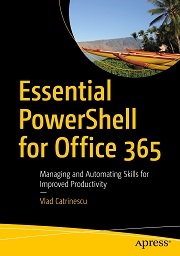 One of the main advantages of SharePoint is business automation and moving towards the paperless office. SharePoint allows us to create lists, as well as InfoPath forms in order to capture information that was traditionally on paper forms. However, SharePoint does not support one of the main types of forms that are used in companies across the world: PDF Forms. PDF has become the standard file type for final documents because it’s compatible across devices and everyone can use it without installing anything on their device. 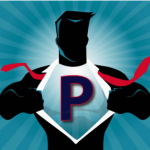 Thanks to Microsoft’s rich partner ecosystem, some partners have stepped up to create third party products that allow us to integrate PDF forms into SharePoint. One of those companies is called PDF Share Forms, and they have created a product called PDF Share Forms Information Worker. Before starting the review, let’s look at a few words from the PDF Share Forms website. PDF is the most popular document format – it’s accepted anywhere in the World, it works on any platform, it is recognized by millions of developers, and supported by thousands of user groups. PDF is the only way to provide an electronic “hard copy” of any document. 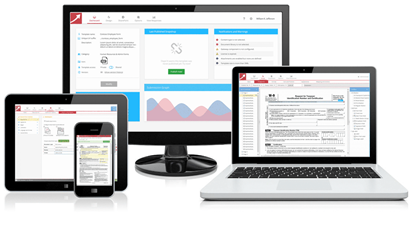 PDF Share Forms Information Worker – the only PDF form product that empowers non-developers without compromising necessity for complex and compliant forms. It takes less than two minutes to integrate forms like W9, I9 (Employment Verification Form) and start filling those in. Works on mobile devices. Online and offline. 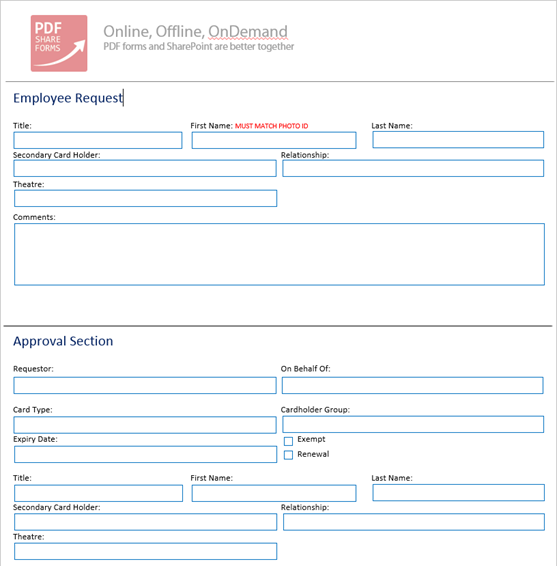 The first thing we have to do in PDF Share Forms Information Worker is to create the PDF form templates that our users will fill out. 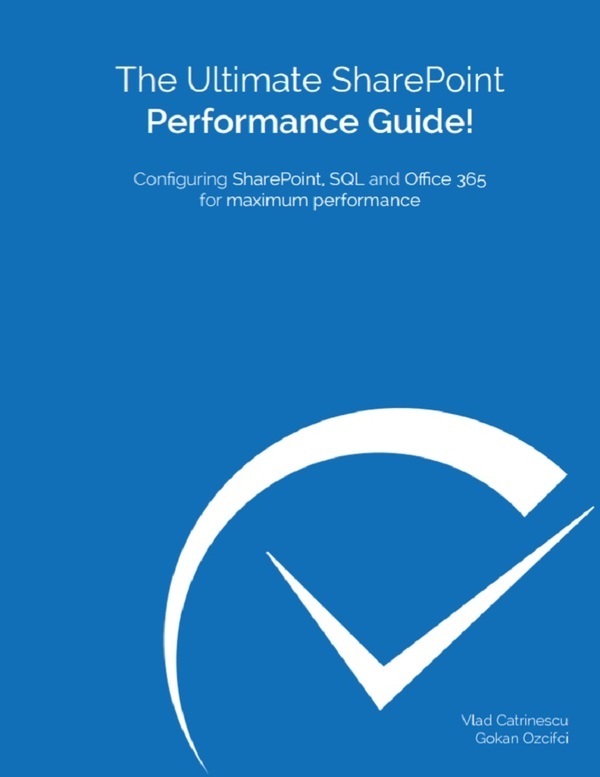 This is done from a special page that can be accessed from the SharePoint site menu. From this page we can view the existing templates, create a new one from scratch, or Import a new template. We can also see how many times it has been used, and how many revisions exist. 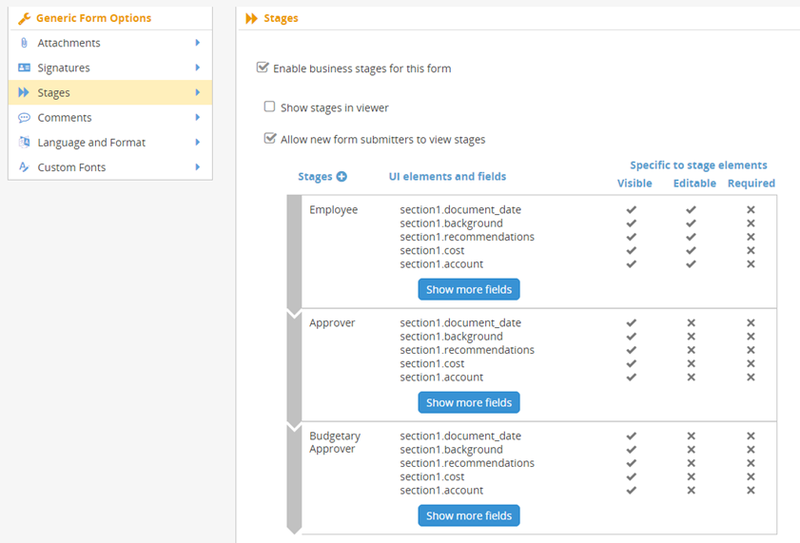 Once we go on a form and in the design view, we see what the form looks like, as well as define our fields. 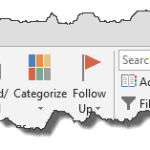 After the fields are defined, we can map the fields from the PDF form, directly to a column in that SharePoint library. 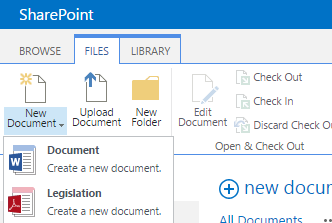 Since the data will be stored both in the PDF and in the columns, it will allow us to use the powerful SharePoint document management features, such as workflows, views, etc. as well as have all the content in a PDF form that follows your standards. Another feature which I absolutely loved, is the ability to create stages. For example, when a person first opens a form, they will enter field 1 through 5. Afterwards, that person’s manager will fill section 6 through 9, and finally the CIO will fill section 10. From a user perspective, users will see forms exactly as content types in SharePoint and will be able to create them directly from the SharePoint ribbon. 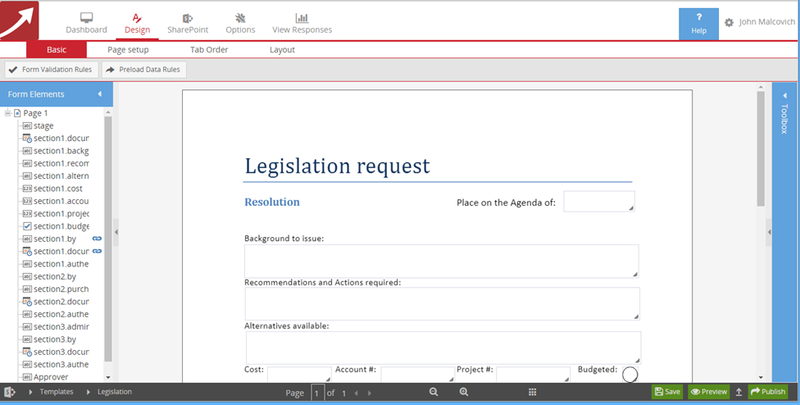 In the screenshot below we see the option to create the Legislation form we have configured earlier. 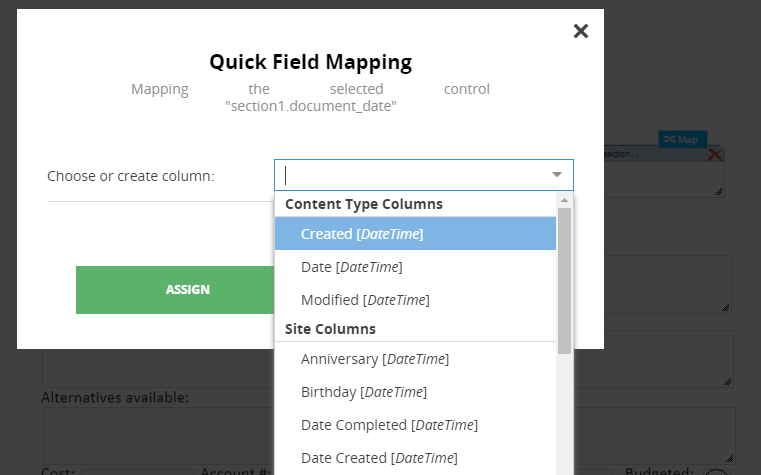 The user will only be allowed to edit the fields from the stage, and the user can also highlight them so he can easily see what he needs to fill out. Everything is very user friendly, and the user controls to input information are very easy. To create forms, there are two options. The first one, and the one I personally find the easiest is that you can create forms directly in Microsoft Word. After creating them, you simply save them as a PDF file, and then use the Import Template option that we saw on the PDF Share Forms settings page. The other way to create forms is directly in the browser, by using the PDF Share Forms editor. While the editor works well, and you can drag and drop fields, I really prefer doing it through Microsoft Word because it’s something I am way more productive in. 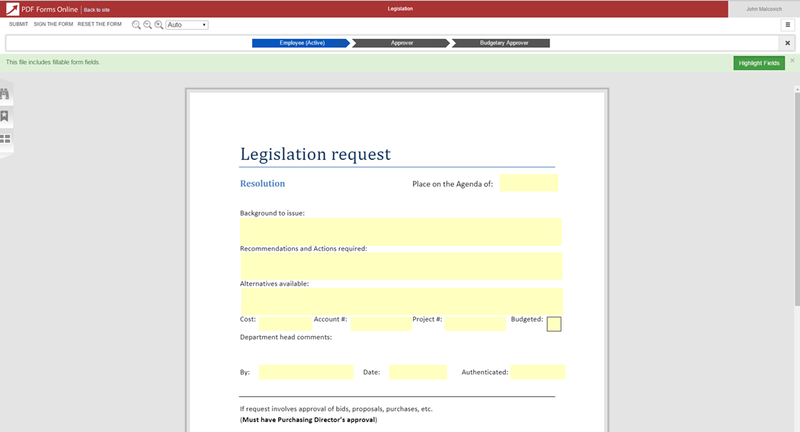 PDF Share Forms Information Worker also allows you to integrate the forms with Digital Signatures, and you can also integrate your forms with both SharePoint Designer Workflows and Nintex Workflows. This will allow your company to easily build approval workflows around the PDF forms you will create. PDF Share Forms Information Worker also works with non-authenticated users, allowing you to capture data from customers and partners, without needing to create them a username and password. Thanks for the post, Vlad. I might take a deeper look into that. 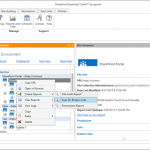 PDF Share Forms is one of solutions we are using in conjunction with SharePoint. I saw a webinar dedicated to Information worker and can see a huge potential there. At least now it will be much easier for IT department.